@DragonPrinc8 It really isn’t that good at even 2 mana. 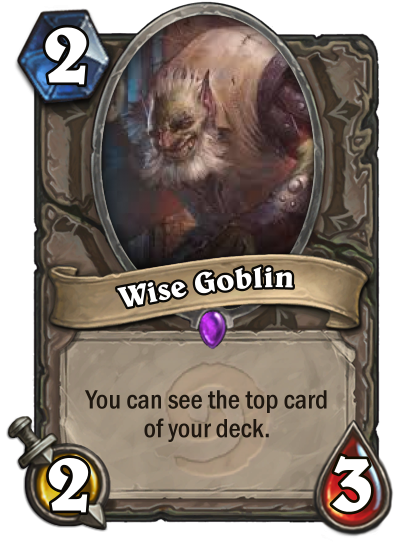 It doesn’t affect the game at all except for cards like Fel Reaver and Keening Banshee, or for knowing you can be less greedy with AoE because there is one on the top of the deck. The only real application would be the AoE one, but at that point you would rather run Novice Engineer and just draw it. Should maybe be 3 Mana.